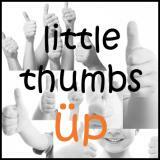 Now that July is ending, I’m seeing a huge flood of submissions for Little Thumbs Up! I’ll defiitely visit each and everyone of your recipes, give me some time~! I too, still have some potato recipes not yet blogged, so you will be seeing more potato recipes from me for the next few days! 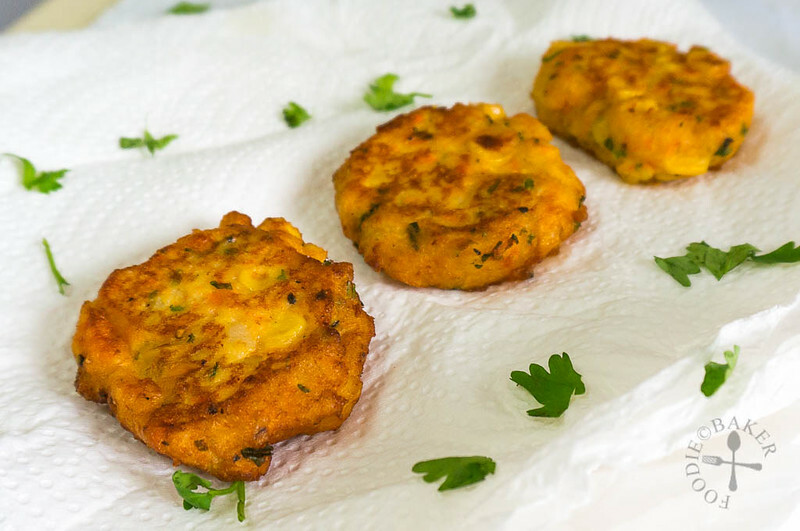 Today’s recipe is a very simple fritter – mashed potatoes (I used mashed potatoes and carrots), corn, egg, cheese, flour, coriander, salt and pepper! 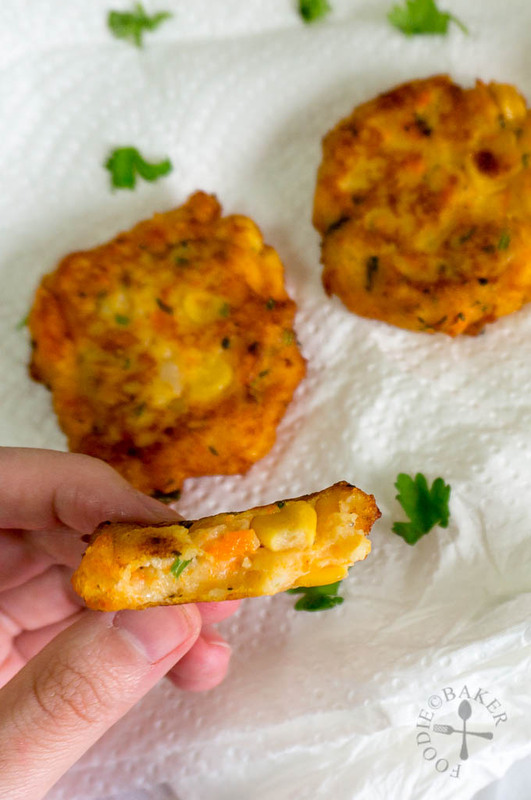 The crunch from the corn makes the fritters super addictive. I originally wanted to bake the fritters instead of pan-frying them, but I was craving for something fried… so pan-frying it is! I made quite a lot of fritters from this recipe, so I froze the remaining cooked ones and reheat them in my oven whenever I crave for a snack. 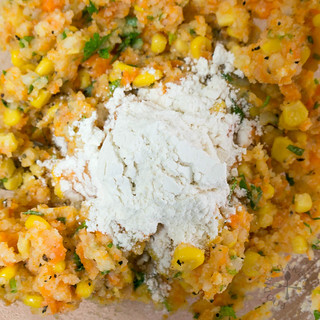 Combine corn, mashed potato + carrot, parsley, egg and cheese together. 2) Mix in the flour. 3) Form into patties and fry until golden-brown. This post is for Little Thumbs Up (July 2014 Event: Potato) – organised by Zoe (Bake for Happy Kids) and Mui Mui (My Little Favourite DIY) and hosted by me! Do hop over HERE to see the linkup! 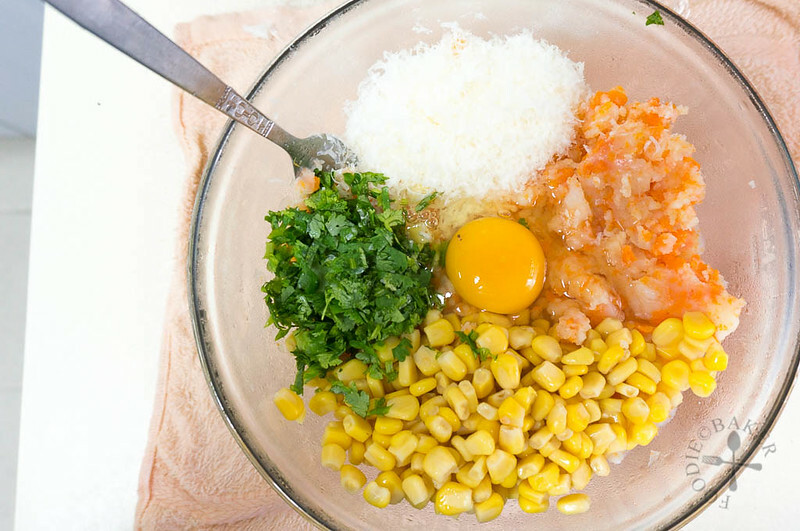 Combine mashed potatoes, corn, coriander, cheese and egg together in a large mixing bowl. Mix in just enough flour until you can form a patty without the mixture falling apart. Season with salt and black pepper. Heat about 1-inch of oil in a frying pan over medium heat. Drop spoonfuls of the potato mixture into the hot oil, flattening the fritters slightly with the back of a spoon. Fry the fritters until golden-brown on both sides, about 2 to 3 minutes per side. Remove and drain on paper towels and serve hot. If not, keep the fritters warm in a 100 degrees Celsius oven. 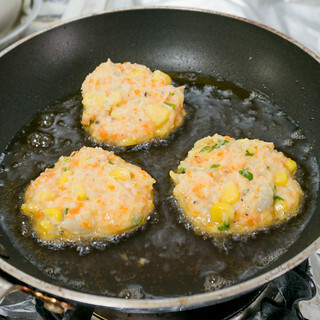 - To freeze the fritters, place the fritters on a tray in a single layer and freeze for 1 hour. Transfer the fritters into an air-tight bag and keep frozen. 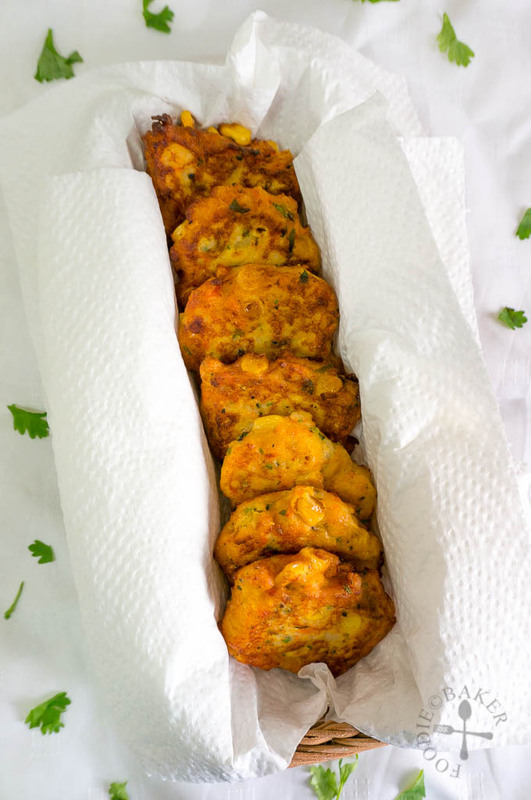 To reheat the fritters, wrap the fritters in an aluminium foil and heat up for 15 to 20 minutes in a 175 degrees Celsius oven. This is such a neat way to use up some leftover mashed potatoes and incorporate some healthy ingredients too! I love the addition of carrot but should that be cooked before being added to the mixture? Or would grated carrot be okay? I’m a bit concerned about biting into an unpleasantly crunchy carrot in a soft fritter. Hi Melanie! I usually make potato-carrot mash, so the carrots are already cooked when made into fritters. I will think cooked carrot will be much better because I don’t think grated carrot will be soft enough by the time the fritters are cooked. Your delicious recipe has been nominated as one of the “Top 100 Best Potato Fritters Recipes on the Internet”. You can view it and vote for it here: http://potato-recipes.org/best-potato-recipes/best-potato-fritters-recipes-internet/ (position #53). Nice potato fritters!!! Pass me some and a jug of ice cold beer, please! My kinda snack, it would be difficult to stop at just one or two! Hi Jasline, these crispy fritters are so addictive … i could see non-stop with some dipping in chilli sauce !